Oscar-Nominated: Best Foreign Language Film. 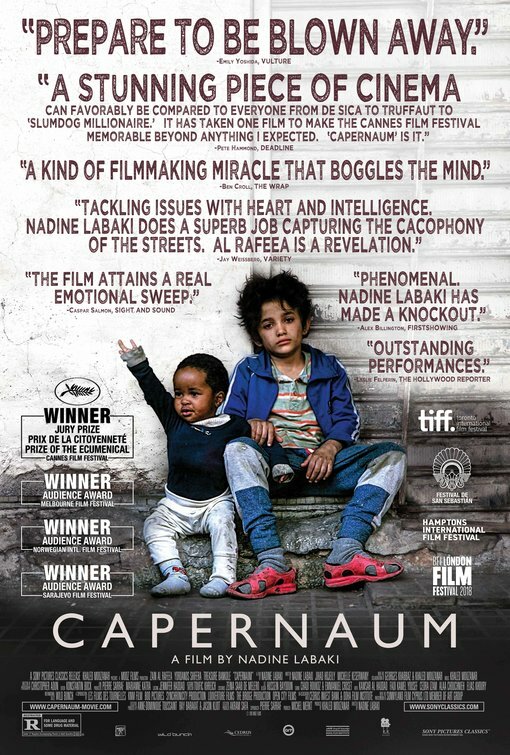 “Capernaum is an absolute heartbreaker about children in peril and the plight of undocumented people. The Grand Jury Prize winner at Cannes 2018 and nominee for Best Foreign Language Feature at the Oscars, this starkly humane drama represents bravura filmmaking by director/co-writer Nadine Labaki. She’s the Lebanese filmmaker whose Where Do We Go Now? won TIFF’s People’s Choice Award in 2011.